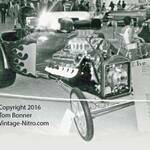 This Bantam roadster appeared at the Detroit Autorama on the late 1960s. Who owned it? What happened to it?